radioBollyFM presents most authentic TOP 10 COUNTDOWN on every week. Check out previous show listing http://blog.radiobollyfm.in/top10. 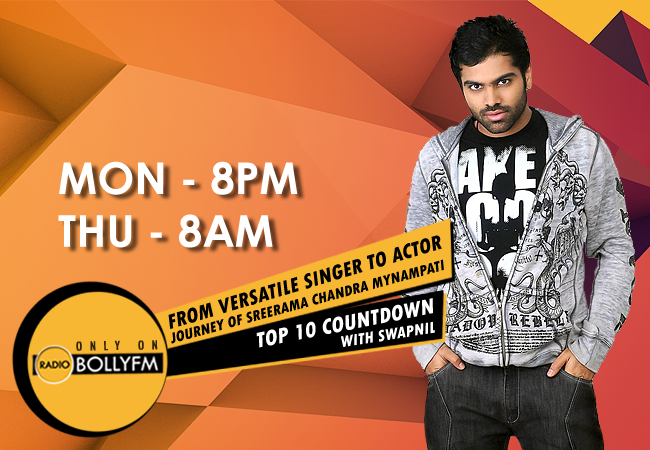 Don't miss the episode this week, Catch Sreerama Chandra Mynampati on www.radiobollyfm.in with RJ Swapnil. REPEAT - 28 JULY 2016, 8AM IST. All you need to do is just visit our radio www.radiobollyfm.com, alternatively you can listen our radio by searching for the channel 'radiobollyfm' on Tunein, Dirble, vTuner, XiiaLive™ or any Internet Radio Player. Let us know how much you liked this episode on the comment section below.